About 400 people gathered on Foss Street for the local dawn service, which included a short march, the last post and reveille, laying of wreaths and an address from the Reverend Rick Barrett Lennard and Melville Mayor Russell Aubrey. Those in attendance, including dozens of school-aged children, braved the early morning chill to pay their respects for those who sacrificed their lives. Bicton-Palmyra RSL secretary Kevin Hastie said it was great to see so many people, especially the future generation, turn out to show their respects on one of the most important days on the RSL calendar. Mr Hastie said it was a fantastic turnout. ‘We are very happy with the numbers. It is a great thing to see the younger generation attend because they will be carrying the spirit of Anzac on,’ he said. 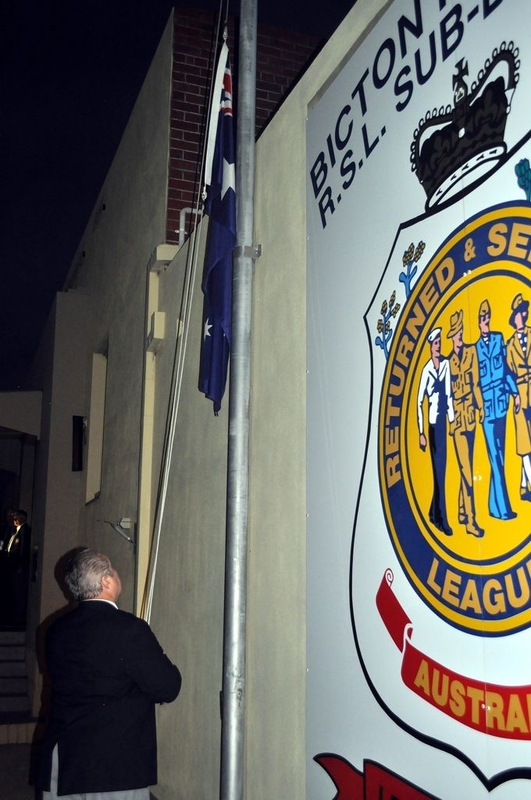 The Dawn Service was followed by a gunfire breakfast held at the Bicton-Palmyra RSL hall.